Quick, easy and inexpensive! Just add a salad and some Mexican style corn and you have a fab meal in less than an hour! Too easy and too quick to taste as good as it does! Have you ever thought to yourself, “Why didn’t I think of that?” Well, I had one of those moments. This was really delicious and simple to make! 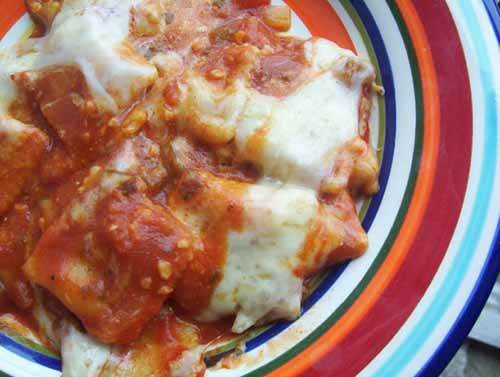 You can alter the taste and texture of this dish by changing the cheese or type of ravioli. Check out the recipe and let me know if you make it and/or make any changes to the recipe.